Although it’s only the start of the season, plenty of football was played in the last week. The Senior men continued their campaign in the Tipperary Cup playing NLS. Facing strong opposition on the day; a good first half with only 4 points in it but the gap widened in the second half and the final score 0-05 to 1-14 was against us. For the youth club, there were two stand out fixtures. The U11 blitz which was played at Harrow Rugby Club. With 5 teams from Pool A and B coming together in great facilities. The drizzly rain didn’t dampen the enthusiasm of all the players. It was great to see clubs mix up the players to ensure evenly balanced teams in terms of numbers and ensure that everyone had an opportunity to play as they stepped up to a different style of game without zones which all of them coped with fantastically. Thank you to John Rattigan for organising and all the clubs who attended (photos and more details on the website). U14’s football was showcased at Greenford in the London Conrad Ryan Cup. A blitz format meant plenty of playing time for all. 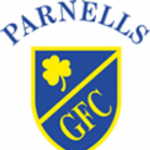 Parnells secured a place in the final facing Tara’s and a closely fought final ensued. The result didn’t go our way but all players can be proud of their performance: Parnells 1-03 Tara’s 3-05. The u14 and o14 girls will continue their fine start to the season and play Tara Girls this week. The U15’s have just started their league campaign and we hope they have a successful start and wish them well as we do to all those participating in the Peter McGlynn tournament on the 5th of May at Greenford; always a well organised and enjoyable event. The club’s ‘Race for Sam & Liam’ competition deadline is fast approaching. Entry Fee £10.00 and envelopes available from the Committee and Managers. The winning prize of £500 is up for grabs-as they say ‘you’ve got to be in it to win it’! Closing Date 5/5/2018. The Youth’s U12/13 ‘Trip to Tipp’ is all set to go. Flights booked and the exciting and packed itinerary in place which will be available soon. Also the Senior’s Annual Golf Day is taking place on 4.5.2018 at Mill Hill Golf Club. Contact Dennis Diggins for further information (07768 352680). The club would like to wish the London County team good luck and success in their quarter final match against Sligo on Sunday. Also to wish all the best to those club players in our youth section making First Holy Communion’s or Confirmation over the next few weeks.